With The Karavan Ensemble: Ma'alot, site specific performance for the 25th anniversary of the sculpture with the same name by Dani Karavan. Ludwig Museum, Köln. 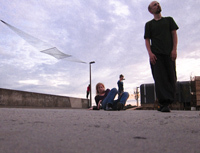 Residency with The Karavan Ensemble at Kolbhalle, Ehrenfeld, Cologne in September during CityLeaks Street Art Festival. 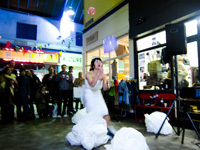 Performances created in response to the site at Kolbhalle. participation in Charlotte Spencer research project 'Cycle Stories' at Kampnagel Choreographic Centre, Hamburg. July 2011. 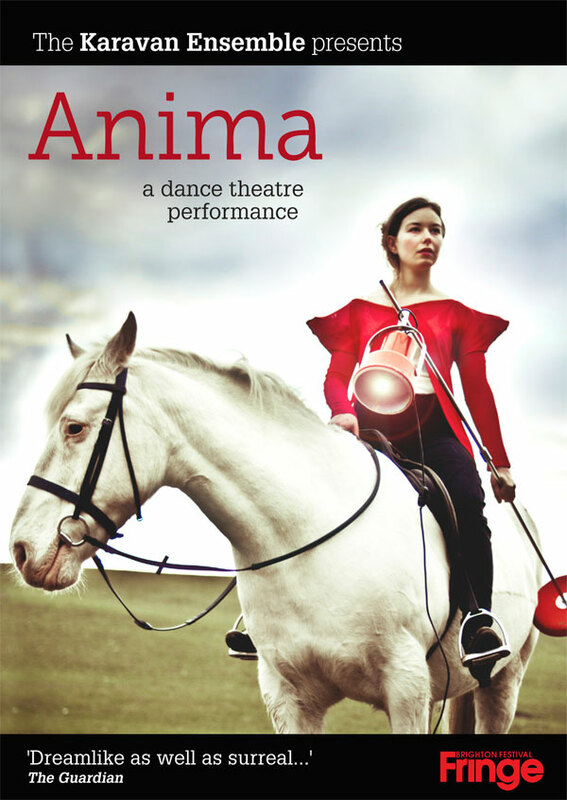 Illuminated by orphan lamps and stories gathered from Brighton households, Anima is a performance combining dance, physical theatre, music, visual imagery and intimate encounters. The Ensemble: Linda Remahl, Bruno Humberto, Rachel Champion, Tamar Daly, Sara Popowa, Marion Deprez & Tristan Shorr. Artistically directed by Yael Karavan. Production co-ordinator Claire Wearn. Bocanegra of Casa de Brujas exhibits her work created during her three year stay in Liverpool - a vast series of ink/coffee paintings. I'm creating a photographic installation in response to her work during a residency and will also present a site-specific version of 'image in 4 pieces'. Live music, open studios, bar. Fresh from The Oven brings together a detoxifying January dose of live performances, installations & music. Venue: The Nightingale Theatre, top of Grand Central Bar, opposite Brighton Station. Fresh from the oven - New Year's eve special event and party! Baked performances and surprises co-created/curated by Yael Karavan, Tamar Daly and myself. Venue: The Nightingale Theatre, Brighton. Performing as part of The Karavan Ensemble as part of 'Inhabit', a promenade discovery of the non-public space of The Dome Theatre. Fresh from the oven. Performance/installation as part of the Fresh from the oven team. Event co-created/curated by Yael Karavan, Tamar Daly and myself. 'Blackbird, pics and artificial grass', a collaborative performance (work in progress), the result of a week's residency at S.Q.U.A.T Liverpool (Liverpool Biennale) with performance/dance artists Marina Tsarsara and Tamar Daly. In this collaboration we 'dissolve the borders' of our solo works, bringing together elements of each work to allow a new aesthetic and sensory space to be shown. White Night, Brighton. Performing as part of The Karavan Ensemble in 'A Light through the Night', a site specific live performance artistically directed by Yael Karavan. The Karavan Ensemble invites you into a nocturnal journey through visual imagery, intimate encounters and absurd realities, inspired by the stories of lights and lamps collected from local Hollingdean homes. Performing 'Of Photography' as part of a triple bill with Myriam Gourfink and Francesca Grilli. Using technology, my body, paper and choreographed movement, I invite the audience to view and take part in a sensory, maybe slightly unsettling take on Spectatorship, Seeing and 'Visual identity'. Of Photography was originally shown at / co-produced by Plateaux Festival, Mousonturm, Frankfurt. Developed with the kind support of The Nightingale Theatre, Brighton. First public showing of the developed 'Of Photography' since its premiere at Plateaux in April 2010. Venue: Shunt Bar, Bermondsey Street, London. Doors open 8pm. 'Fresh from the oven'. Showing 'Image in 4 pieces'. Performing 'Image in 4 pieces' at 'Factory - Wall into pieces'. 'Fresh from the oven'. Monthly, healthy dose of performances, art and food. 'Fresh from the oven'. Showing 'Printroom', a live installation especially made for the launch of a new performance night co-created/curated by Yael Karavan, Tamar Daly and myself. Work in progress showing for invited audience.